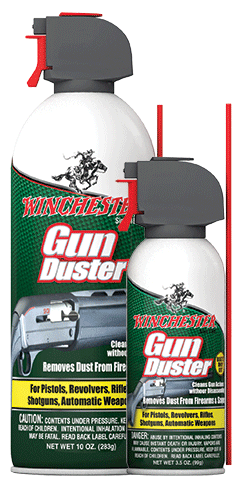 Winchester® W44 Gun Oil is a blend of the finest ingredients available. Designed to provide excellent corrosion protection. 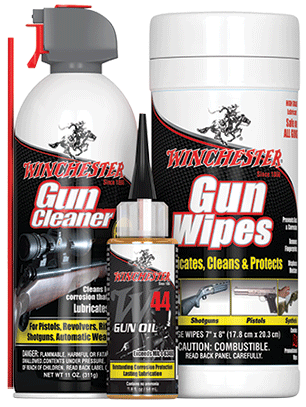 Winchester® Gun Cleaning Kit Containing 1 Gun Cleaner, 1 W44 Gun Oil and 1 Gun Wipes is specially formulated to effectively clean, lubricate and protect exposed surfaces from moisture.